Van den Bos Flowerbulbs has a mission to have the best flower bulb team in the world. In order to achieve this mission, this Dutch company has appointed a new COO, Bas Bakker. CEO, Hans Kleijwegt, is going to focus mainly on strategy, acquisitions, and new business development. As of 1 February, Bas is responsible for the group's Commerce and Operations. In the first few months, his focus will be on getting to know the bulb world and its processes. Bas already started at Van den Bos Freshpartners in Poeldijk, the Netherlands, on 1 December. After studying International Business, Bas held various commercial positions. These included jobs at Van Rijn Group (Fresh fruit and vegetables) and Royal A-ware (Dairy, Cheese, and Tapas). He was also employed by Fatels Food Group, another company in the fresh fruit and vegetable sector. Employed in these positions, Bas gained a wide range of experience. He is well-versed in the fields of strategy, category management, and product marketing. He also has supply chain management and logistical service delivery know-how. The broad working knowledge is a welcome addition to the knowledge already present at Van Den Bos. 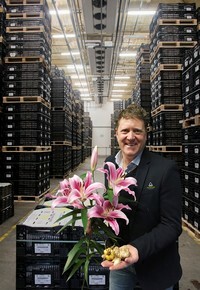 Van den Bos Flowerbulbs wishes Bas much success in his new position.